HÀ NỘI — The contemporary arts festival Đáo Xuân Chín took place last weekend in Hòa Bình Province after it was granted a licence by the province’s Department of Culture, Sports and Tourism. The licence was given to the Kỳ Phát Trading and Service Company on March 22, one day before the event was scheduled to take place. All activities were granted permission to take place at Gầm Trời Valley in the province during 2-11pm on March 23, and 8am-2pm on March 24, according to the licence. 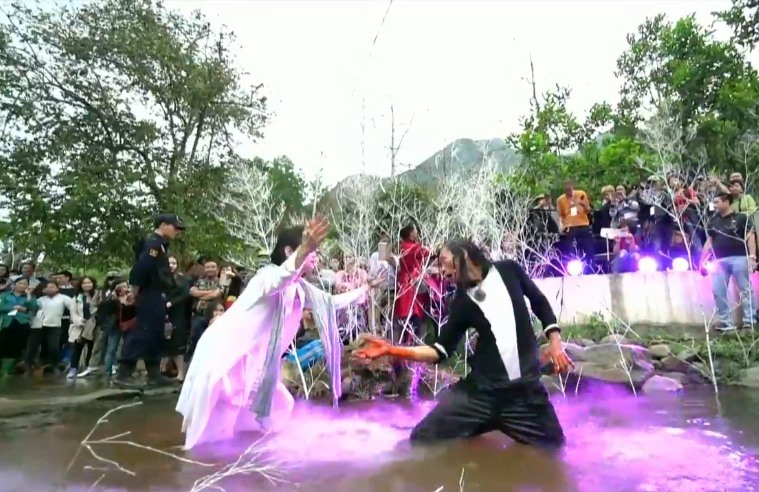 Đáo Xuân Chín is a 24-hour arts show organised by Vietnamese performance artist Đào Anh Khánh, part of the Đáo Xuân series that has taken place every spring over the past 20 years. It is the ninth and final edition of the series as Khánh said it would be the last Đáo Xuân to be held.